As property prices rise rapidly in some capital cities, the deposit for a property often represents a significant chunk of a person’s yearly income. Yet this amount should not dissuade would-be investors. Whether you already own property or are planning your first purchase, buying an investment is an achievable goal. Putting aside money that could instead go towards indulgences is not an easy task. It’s even harder when you have no clear plan or purpose, according to the founder of Leapfrog Financial, Dominique Bergel-Grant. “I find people really struggle with savings unless they have a specific goal in mind,” she says. Home Loan Experts senior mortgage broker Tina Pham says saving needs to be a mindset. “To be successful in property investing you have to be passionate about it – you have to really want to succeed, and this alone will help build up your savings. You will no longer want a new pair of shoes or to be dining out as these are luxuries you can live without,” she says. Sitting down with a mortgage broker or financial adviser can increase people’s motivation by giving them a clear understanding of their goals, Ms Bergel-Grant suggests. One of the first factors to consider is whether to aim for a five, 10 or 20 per cent deposit. While five or 10 per cent deposits allow people to get into the property market faster, lender’s mortgage insurance (LMI) can dramatically add to the monthly cost of a mortgage, Ms Bergel-Grant says. “If you can manage to save an 11 per cent deposit rather than a 10 per cent deposit, that cost of the lender’s mortgage insurance will reduce significantly,” she says. Moreover, first-time buyers should be aware that the costs of buying go beyond just the deposit. CEO of State Custodians Heidi Armstrong warns that legal fees, inspections, stamp duty and repairs all need to be taken into account when saving. For untenanted properties, an initial vacancy period might also add to the cost. “There’s going to be a period where you’re going to have to pay an agent to find somebody and a period where it’s vacant, so you’ve got to be prepared for all of that,” says Ms Armstrong. Investors who take these issues into account from the start are less likely to be hit by unexpected expenses. To be successful in property investing you have to be passionate about it – you have to really want to succeed, and this alone will help build up your savings. Once these goals are set, the next step is working out how to meet them. Ms Armstrong believes a savings plan needs to start with evaluating “money in, money out”. “I think the very first thing that you have to do is know where your money is going already,” she says. She sees many clients who get to the end of the month and cannot account for their outgoings. “It’s very hard to set a budget if you don’t even know what your status quo is,” she says. Her advice is to do a weekly reconciliation to ensure every dollar is noted. “That way you can scrutinise your current spend and make active decisions as to what you’re not going to spend and what you’re going to save instead,” she says. Several free online tools can help people plan and set their budget, including the Australian Securities and Investments Commission’s (ASIC’s) Smart Money site. Once you have identified your current spending patterns, Ms Pham suggests setting a series of short-term goals to help you move towards the end goal. “All goals must be realistic so that they are achievable and motivate you to keep going,” she says. While it might be tempting to challenge yourself to achieve high savings targets, Ms Bergel-Grant says realistic goals are more likely to be effective. “Set yourself up for success, not for failure. There’s nothing more demotivating than having a goal and not achieving it,” she says. The next step is setting up a budget, including all fixed and variable expenses. These variable expenses are where savings can often be made. Often, investors fail to account for infrequent costs, like replacing a computer or getting a haircut. Another common error is forgetting to plan for emergencies, Ms Armstrong says. “Their savings are being put towards the deposit for the property, so when their car breaks down or something goes wrong, that then becomes their emergency fund,” she says. 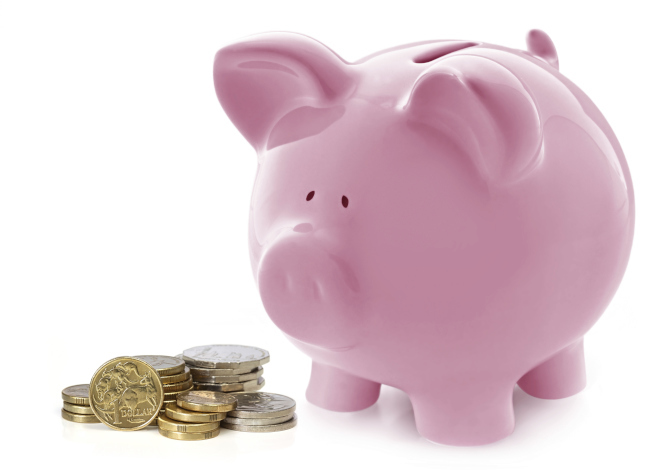 She advises savers to weigh up whether it’s worth having a separate emergency savings account. “This way, when you’ve had to dip into your savings to do your car repair, you don’t feel like you’ve gone backwards and then give up,” she says. In addition, it’s important to get your financial situation in order before beginning to save. “I had a couple in my office last week who had been saving up money to buy a property, but they had racked up a credit card debt,” Ms Bergel-Grant says. The credit card may attract up to 20 per cent interest, so clearing up those debts first can prevent money being wasted. Finally, the ability to save a deposit only addresses one half of the affordability question. The second half is ensuring you will be able to service the mortgage. “It’s making sure that they can afford it when interest rates are a lot higher than they are today, and taking into account any extra expenses. They might fall into land tax expenses or other categories they haven’t budgeted for,” Ms Bergel-Grantsays. Planning for the future can ensure investors continue living comfortably after the property has been bought. If the amount of time required to save up for a deposit seems excessive, Ms Pham suggests thinking outside the box. “If slow and steady is not ideal then it’s time to get creative and see if there are other ways to reach the plans faster,” she says. According to Ms Pham, there are other options available, such as finding a property investor partner who has a deposit, using equity in a family member’s property or taking advantage of vendor finance. “There are a lot of ways to get into the property market – all that’s needed is determination and motivation,” she says. A further consideration should be whether your current savings account is giving you the best returns. The government offers ‘first home saver accounts’, which attract a lower tax rate and a government contribution. Contributions over a certain threshold must be made for four years before the money can be accessed. However, Ms Bergel-Grant warns that most home-buyers will find the conditions too restrictive. “Most of the time people think of saving a deposit at 23, 24 or 25. By then, the lifestyle is so changeable over the next few years that the restrictions around first home saver accounts don’t really work,” she says. If slow and steady is not ideal then it’s time to get creative and see if there are other ways to reach the plans faster. First-time investors who already own a property are at a distinct advantage. The equity in their existing property can help underpin the purchase of another. “The really important thing here is, if you already have a mortgage, those savings should be working for you inside your mortgage,” Ms Armstrong says. She suggests homeowners select a product that allows them to make extra repayments against their loan rather than holding savings in a separate account. Ms Bergel-Grant believes offset accounts can come into play in these circumstances. “When it’s time to actually buy, the investor can pay that lump sum off their home loan and then actually have a much smaller home loan and a bigger tax deductible investment loan,” MsBergel-Grantsays. “That will make it better for tax reasons, which will also help their cash flow and help them fund their property each and every month,” she says. In addition, Ms Armstrong urges investors to make sure their lenders allow access to those funds for another property purchase. “There’s no point putting all that money into your mortgage but it then just being pulled up in principal. Then when you go to buy your property, you find you can’t redraw those additional funds,” she warns. First-time investors face a host of challenges, but the deposit may be the most daunting. A savings plan accounting for your goals, lifestyle and circumstances can put your first investment property within reach. “I’m not the kind of person who puts together spreadsheets and budgets, but I made the most of the period when I was finishing school and going through university to save money. I tried to keep money aside on a weekly basis. When I did go out, I put the change I brought home into a piggy bank. I would then use that money to travel, rather than dipping into my property savings. I was aiming to secure a deposit of $60,000 because I calculated that this was the amount I would require given my salary and financial situation.